display of Ph(Zeta) inside [-50.0,+50.0]x[-50.0,+50.0] [Visualisation de Ph(Zeta) dans [-50.0,+50.0]x[-50.0,+50.0]]. 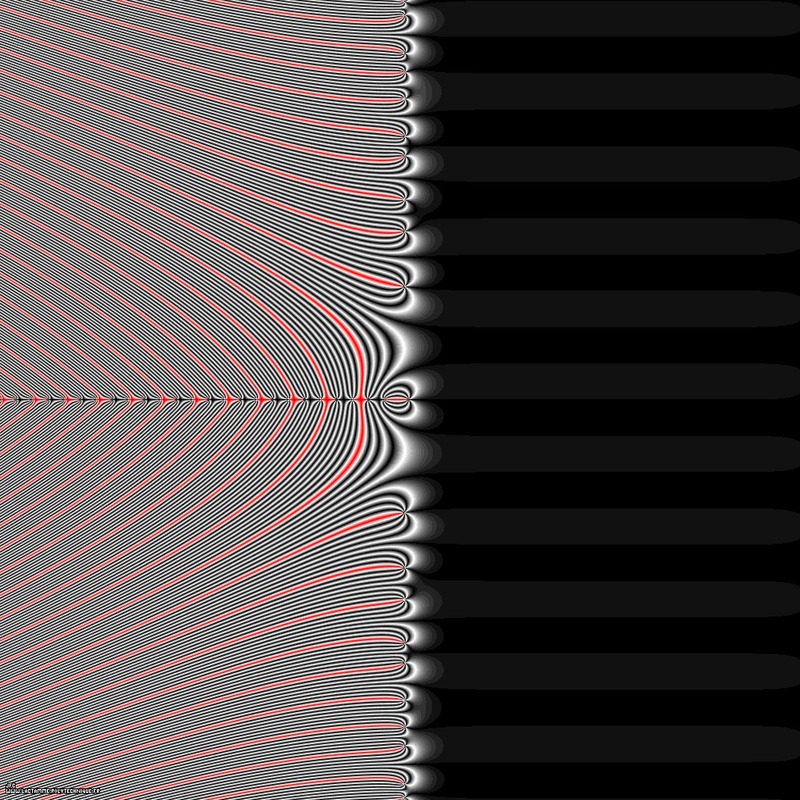 This picture displays the so-called "phase" of the Riemann Zeta function (its argument). The [0, 2.pi] segment is visualized as a set of alternating black and white lines, when the red lines display the points where the argument equals pi.